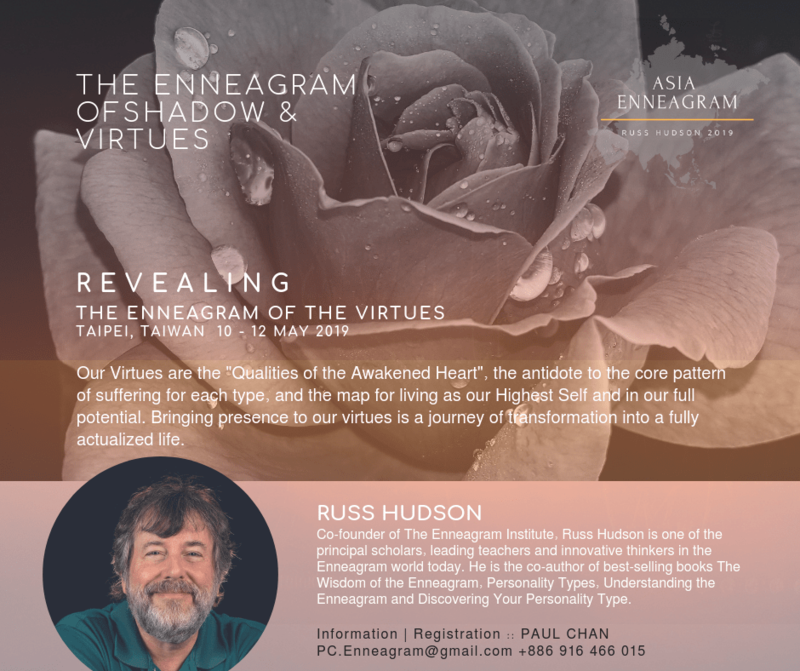 The Heart Retreat is part of a series of 2019 Enneagram workshops with Russ Hudson in Asia. The focus of this retreat will be on deepening our understanding and use of the Enneagram for personal transformation, focusing on the deeper qualities of the heart. This work is not only for Types of the Heart Center. It will be an exploration of how we live from a deeper source of identity, no matter what our Enneagram Type is. It will provide personal, hands-on experience through which we will deepen our connection with the real intelligence and capacities of our hearts. This will facilitate work on areas such as self-images, narcissism, defense mechanisms, and how events in our personal history impact our present. Also featured are exercises such as physical movement in the form of the Gurdjieff Movements, spiritual teachings, meditations, music and small group work. Click here for full details of this event, or contact the organiser Paul Chan at PC.Enneagram@gmail.com or +886 916 466 015. Chinese translations will be provided at the retreat. 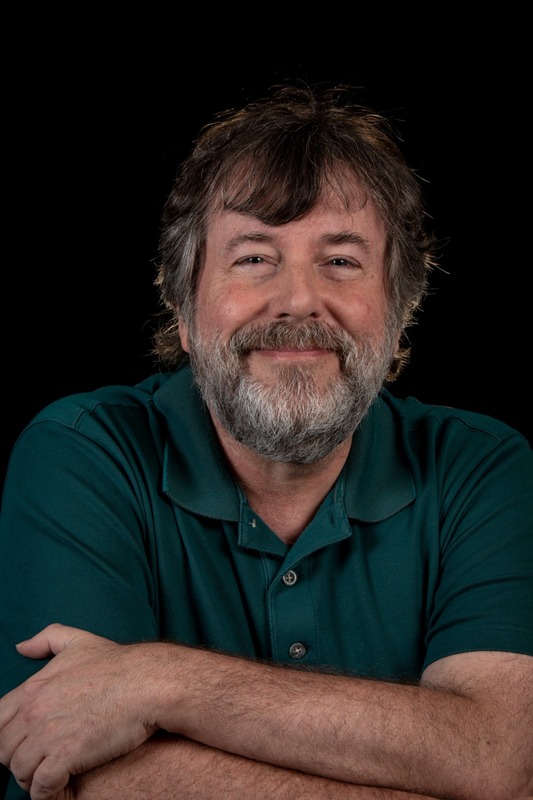 Russ Hudson is co-founder of The Enneagram Institute, and is one of the principal scholars and innovative thinkers in the Enneagram world today. He is also President of Enneagram Personality Types, Inc. He has been co-teaching the Enneagram Professional Training Programs since 1991, and is a founding director and former vice-president of the International Enneagram Association. Russ is co-author of The Wisdom Of The Enneagram, Personality Types, Understanding the Enneagram, Discovering Your Personality Type and The Power Of The Enneagram. Russ also assisted Don Riso in writing Enneagram Transformations. He holds a degree in East Asian Studies from Columbia University in New York, from which he graduated Phi Beta Kappa. An instructor of the Gurdjieff Movements for over 35 years. Deborah’s approach to teaching the Gurdjieff Movements, emphasizes the importance of balancing the Three Lines of Work (Work on oneself, Work in the group and Work for the Greater Good), not only in the movements class, but also in life. The Virtues are an embodied expression of our true nature. This program introduces the 9 Virtues, “Qualities of the Awakened Heart”. The Virtue of each type can be seen as an antidote to the core pattern of suffering. Presence with the Virtues transforms suffering and brings us to a higher and fully actualized life. This wisdom takes the Enneagram from being a system of labels and descriptions to a powerful journey of personal transformation. With experiential exercises and evolving insights, we will explore the interface between ego patterns and the integration of a deeper experience of the heart into our lives. Click here for full details of this event, or contact the organiser Paul Chan at PC.Enneagram@gmail.comor +886 916 466 015. Chinese translations will be provided at this workshop. The Enneagram has become popular across the world because of its power to help people understand themselves better. People explore the descriptions of the nine types and find out what fits them best. These descriptions serve as a wonderful starting point to deep dive into the Enneagram as a powerful transformative journey. Part of the Enneagram work is on our shadows. If we are to grow as human beings, we must see those parts of ourselves that create difficulties for us. We need to bring light to the parts of ourselves that are more hidden and yet have a big influence on our behavior. The psychologist Carl Jung called the process of finding these parts of ourselves “Shadow Work,” and as Russ Hudson points out, all psychological and spiritual growth entails shadow work. Read what Russ Hudson says about shadow work. At the same time, most of us are greatly helped by seeing what is good in us. In this workshop, we will look at each of the nine points of the Enneagram as a study of the light and shadow in all of us—how each of the types is also a map guiding us through a transformational journey. We will learn how each type teaches us something about meeting our shadows, and opening them to the powerful light of grace, so we can be more free to bring good things to ourselves, our families, our work, and our world. The workshop will include teaching, exercises, music, meditation and discussion. We will explore how these teachings from the ancient wisdom traditions can become totally relevant in our busy, modern world, and we will explore new ways of experiencing community with others. Russ Hudson is co-founder of The Enneagram Institute, and is one of the principal scholars and innovative thinkers in the Enneagram world today. He is also President of Enneagram Personality Types, Inc. He has been co-teaching the Enneagram Professional Training Programs since 1991, and is a founding director and former vice-president of the International Enneagram Association. Russ is co-author of The Wisdom Of The Enneagram, Personality Types, Understanding the Enneagram, Discovering Your Personality Type and The Power Of The Enneagram. Russ also assisted Don Riso in writing Enneagram Transformations. He holds a degree in East Asian Studies from Columbia University in New York, from which he graduated Phi Beta Kappa. 6:30 pm on Friday, 3 May 2019 to 6.30 pm on Sunday, 5 May 2019. To secure our special room rate at the Grand Sukhumvit Hotel Bangkok please email resm@grandsukhumvit.com or reservation@grandsukhumvit.com with “InnerLynx Strategies Pte Ltd” for the reference booking rate. The above room rates are inclusive of 10% service charge and 7% value added tax. Should the Thai Government increase the percentage of tax collected on room and/or meal rates, or impose additional tax/levies, the hotel will increase the contract rate accordingly. If you have already registered but want to return to the payment and logistics page, please click here. The Enneagram is a useful framework for understanding who we are and what we are doing here. Rather than being just a tool that boxes us in, it takes us on a journey of revelation and transformation. The Enneagram helps us to understand our challenges and realise our full potential. It shows us a better way of being. The Enneagram unveils our shadow (Bangkok 3-5 May 2019) and helps us heal our woundedness. We learn how our woundedness is a useful part of our journey to revealing our Virtues (Taiwan 10-11 May 2019), the best of who we can be. The Heart Retreat (Taiwan 5 -19 May 2019) helps us to embody and deepen the truth of who we really are. This series of workshops are designed for those who are interested in understanding our true nature and journeying to the realisation of the deeper depths and the higher heights of who we really are. They are useful for individuals interested in personal growth, such as coaches, leaders, teachers and parents. Knowing the Enneagram or having done prior workshops is not a prerequisite. Having some prior knowledge of the Enneagram could be an advantage to some, and a hindrance to others. Listen to Russ Hudson on the Enneagram Types here. If we are to grow as human beings, we must see those parts of ourselves that create difficulties for us. We need to bring light to the parts of ourselves that are more hidden and yet have a big influence on our behavior. The psychologist Carl Jung called the process of finding these parts of ourselves “Shadow Work,” and as Russ Hudson points out, all psychological and spiritual growth entails shadow work. This retreat will focus on deepening our understanding and use of the Enneagram for personal transformation, in particular the deeper qualities of the heart. This work is not only for Types of the Heart Center. It will be an exploration of how we live from a deeper source of identity, no matter what our Enneagram Type is. The organisers are Siewfan Wong for Unveiling and Paul Chan for Revealing and Deepening. You can contact them at Siewfan at Siewfan.Wong@GalleryHelios.com +65 9459 8262 and Paul at PC.Enneagram@gmail.com +886 916 466 015. Chinese translations will be provided at both Taiwan events. When teaching the Enneagram and Shadow work we first acknowledge our Essence that is always there; but that we often forget. The Enneagram shows us how we fall asleep to our best qualities and therefore how we can remember them. It provides a framework for the 9 instinctual, psychological and higher aspects of being human. Using it to stereotype and lock ourselves in 9 different boxes is not what the Enneagram is for. There are those parts of us that are more developed than others. There are those parts which have atrophied, which have been disowned or censored. These parts could be the source of our exuberance, depth, power, intuition, intelligence. Restoring these qualities will help us live deeper and lighter. The Enneagram is a map that helps us to navigate our complex psyche. When applied skilfully the Enneagram illuminates those areas that could be hard to reach. It provides a structure and an orientation to help us journey deeper into what it means to be fully human. It doesn’t mean we are suddenly enlightened, but as we learn to be fully present, warts and all, we learn to live in an increasingly more balanced and authentic way. Shadow work is not all doom and gloom. It shows us the way out of our difficulties. It is even more useful when we are not experiencing difficulties, but want to simply live more vitally and more vividly. Shadow work can illuminate hidden resources that are at our disposal and unconscious programs what hold us back. This is true positivity. nformation about The Enneagram and Shadow Work Workshop.